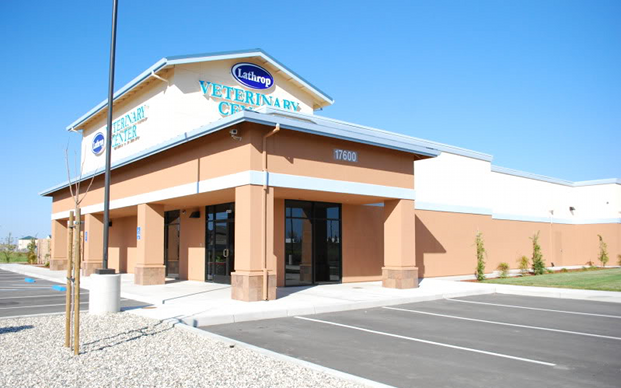 Lathrop Veterinary Center is the first and only veterinary hospital in the city of Lathrop. Our state of the art facility was built in 2008 and houses the most up to date equipment. We provide one stop medical services including exams, vaccines, surgery, radiology, laboratory testing, and a luxurious lodging facility for your family friends. Your pets are a member of the family and we take every precaution in keeping them safe and healthy. The staff at Lathrop Veterinary Center is always open to your questions and concerns and prides themselves on client education and preventative health care. We encourage our clients to browse our website for staff biographies, hospital hours, special announcements, and valuable information.